O doesn’t have a class full of kids to give valentines to yet but I knew she’d get a kick out of making some. 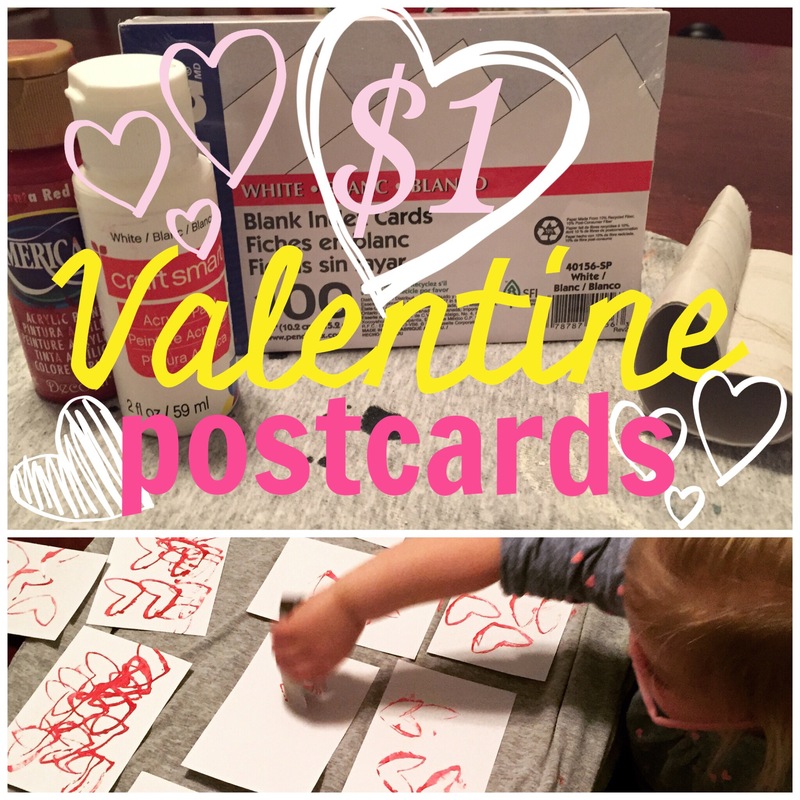 I employed good old Pinterest for inspiration and put my own little twist on a common Pinterest Valentine craft. I asked Hubby to grab a pack of blank (unlined) 4″x 6″ index cards at the grocery store for less than a dollar. I already had red and white craft paint and was recycling toilet paper roll so the grad total for this craft is just a buck! 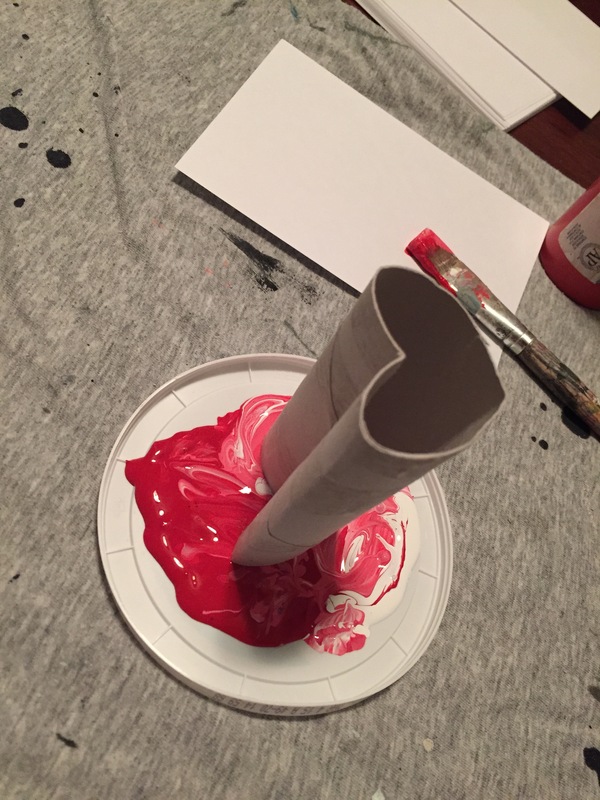 I folded the toilet paper roll into a heart and swirled some red and white paint onto a recycled lid. 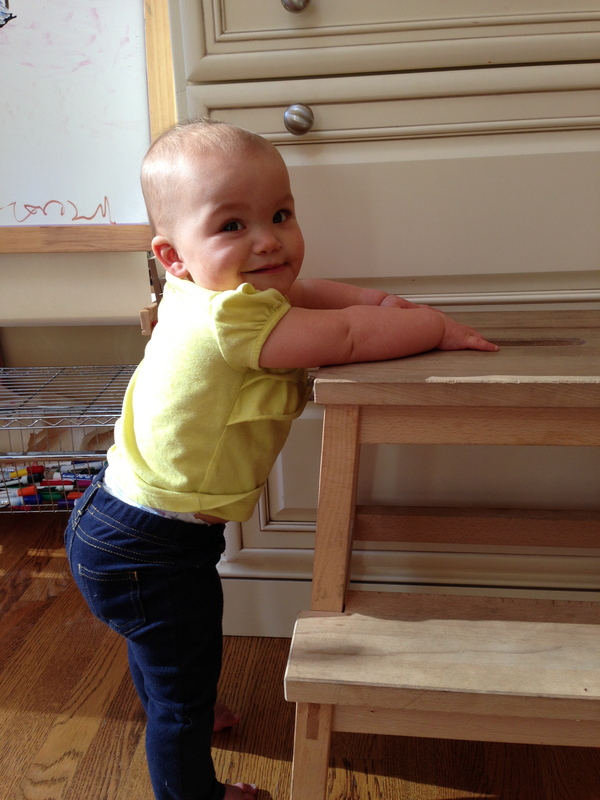 The rest was up to O. And she went to town! 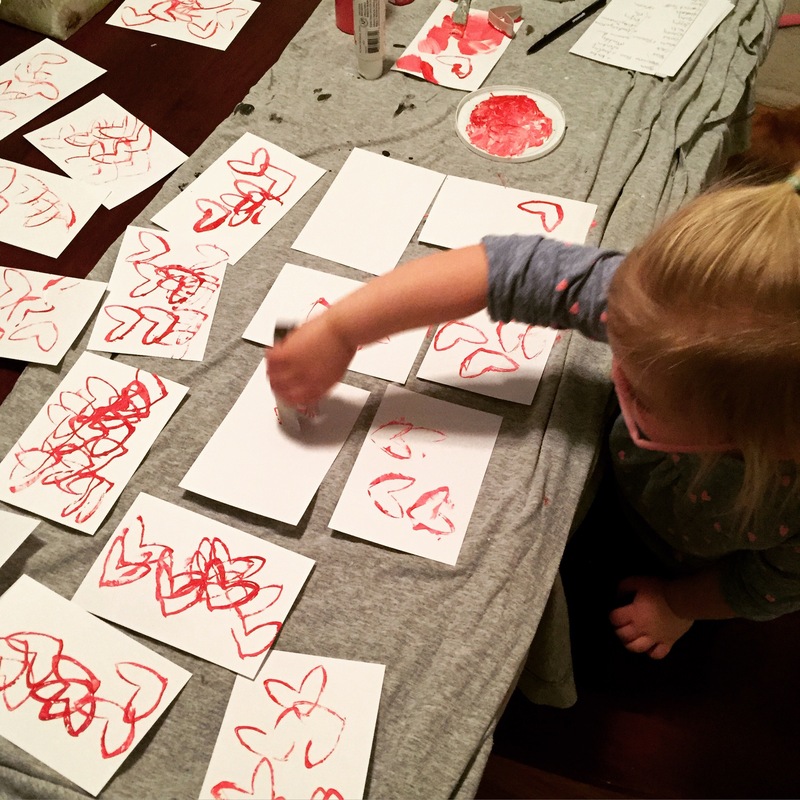 She stamped her little heart out (har har) and made nearly 30 valentines! The twist that I threw in was to make them into postcards to mail to our friends. I just drew a line down the center, wrote notes on the left and addresses on the right and then used postcard stamps that I had left over from our Christmas postcards. I’m pretty sure our friends and family loved receiving these. Who doesn’t like to get mail! ?